Cloud computing and cloud services are vague terms to describe a wide range of applications, servers, or services that are hosted on the internet and available from virtually any internet connected computing device. Many of you may already be “in the Cloud.” If your email is not hosted on one of your company’s local servers it is probably cloud based. Email is one of the most common cloud based services. Cloud based backup is quickly becoming the norm as well as it removes the human interaction of taking the companies backup off-site on a tape or drive and has become very economical. Perhaps you have heard of or even used Google Apps, Microsoft Office 365, or SalesForce. 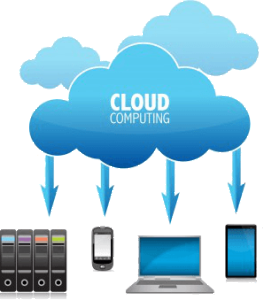 All are cloud based applications. Some companies go as far as running their servers and workstations at a remote data center resulting in a complete cloud infrastructure. We can assist you in finding the right balance of traditional and cloud services that would maximize the benefit for your company. If any of the following scenarios describes your company’s situation, you may want to steer towards the clouds. From Microsoft Office 365 to Azure- There are many pros and cons to consider. Call us at (856) 266-9740 to discuss how we can help you decide the best course for your business in the cloud.